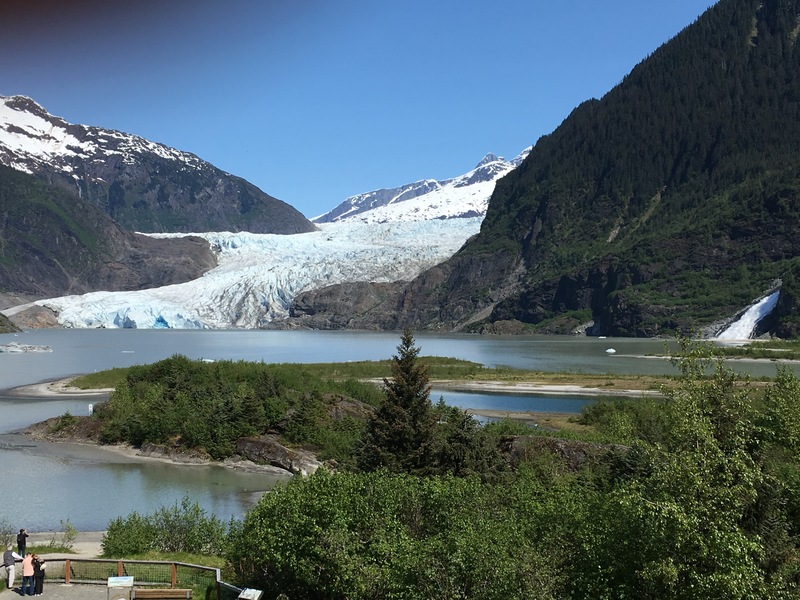 In order to find out the lure of Alaska’s Inside Passage for our Camai Bed and Breakfast guests we (Craig and Caroline) decided to take a May 2016 cruise. We started by flying to Vancouver B. C. and spending two nights and two days. We stayed at Sunset Inn & Suites which was a great location and exceeded our expectations. 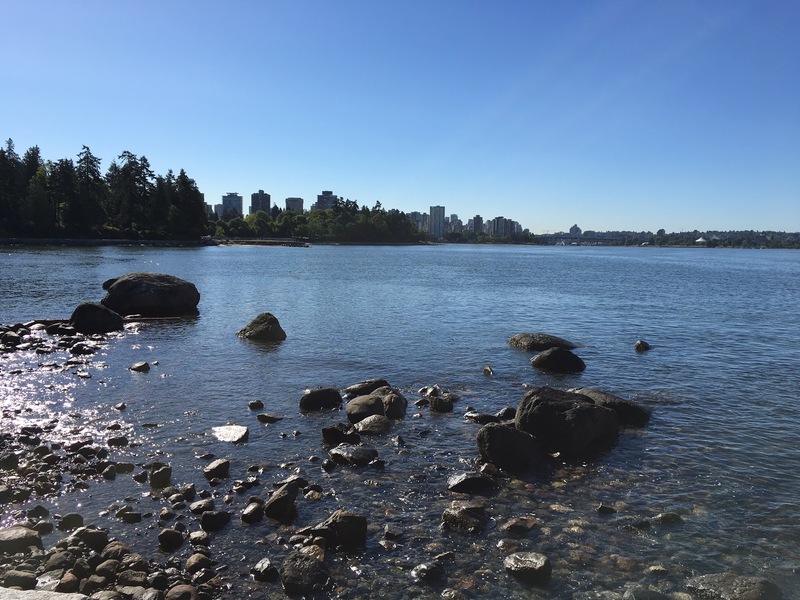 We highly recommend walking the sea wall out to Stanley Park. The views are spectacular. Stanley Park has several types of gardens, including roses and rhododendrons. We also went to Vancouver’s Chinatown which is one of the largest Chinatowns in North America. 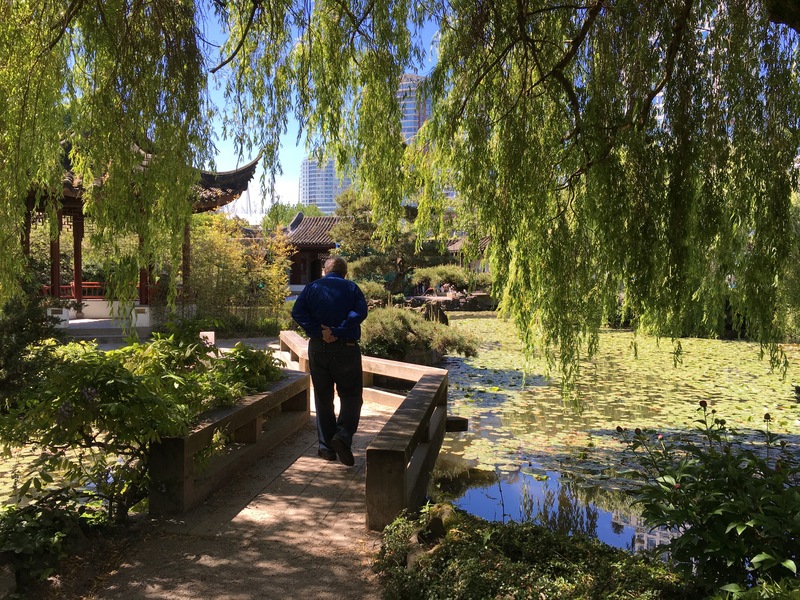 We visited Dr. Sun Yat Sen Classical Chinese Garden. We had an authentic lunch at Floata. I suggest you practice using chop sticks before going. Our cruise started on Wednesday with lots of lines for both boarding and clearing customs. When we finally got to our stateroom we relaxed for a short while until our luggage arrived. Thursday, our first day, was spent cruising and viewing the lush green mountainous shores. While at sea we indulged in a massage each. In our operating of the bed and breakfast many amenities including WiFi are free. Internet connection on-board was expensive and an option we did not choose. I suggest you walk into the towns you visit and find actual WiFi for using the internet. At each port we visited the local Visitors Bureau to get information on the free downtown walking tours. 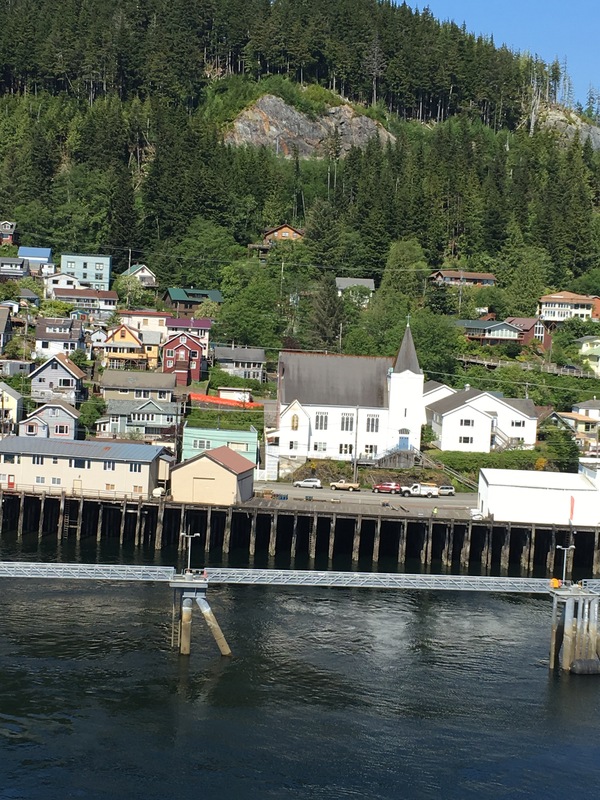 Ketchikan Lutheran Church is easily seen. It has one of the few pipe organs in Alaska. On Friday’s arrival into Ketchikan we saw quaint homes built into the mountain side. We walked some of the streets which were cantilevered out of the mountain side and paved. There are many beautiful views the higher you go. We also visited historic Ketchikan Lutheran Church which has one of the few pipe organs in southeast Alaska. Our cruise ship, the Island Princess, is on the left. we did an easy trail walk to the glacier and waterfall.This is a must do! 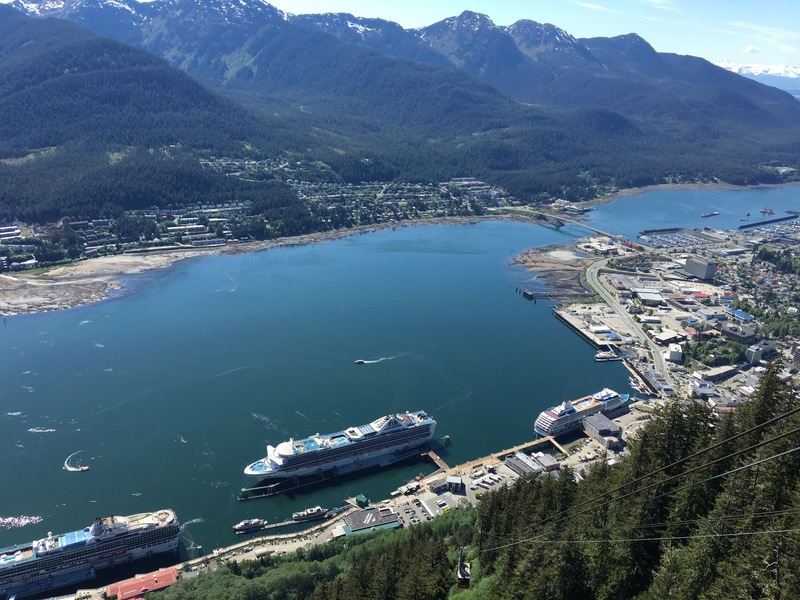 Upon return to Juneau we took the Mount Roberts Tram and viewed our boat and downtown Juneau from above. This day that we visited, the Timberline Bar & Grill was closed for a wedding reception; however, we watched a short video of the Tlingit life and heritage. We ended the day walking in Juneau. Be sure to stop at one of the food trucks for the popular Coppa local ice cream. I rode in the first car of the train. This view is looking back at the train crossing over a bridge. Train is waiting for cruise ship passengers to board. Then it travels a short distance down the tracks to station where it picks up other passengers…such as me. Sunday morning we arrived in Skagway. It is an easy walk into the town made famous by the gold rush of 1898. I walked around the town and worshiped at the historic First Presbyterian Church. The U.S. Park Service offers free guided walking tours. Stop by their office and get a ticket for a tour. 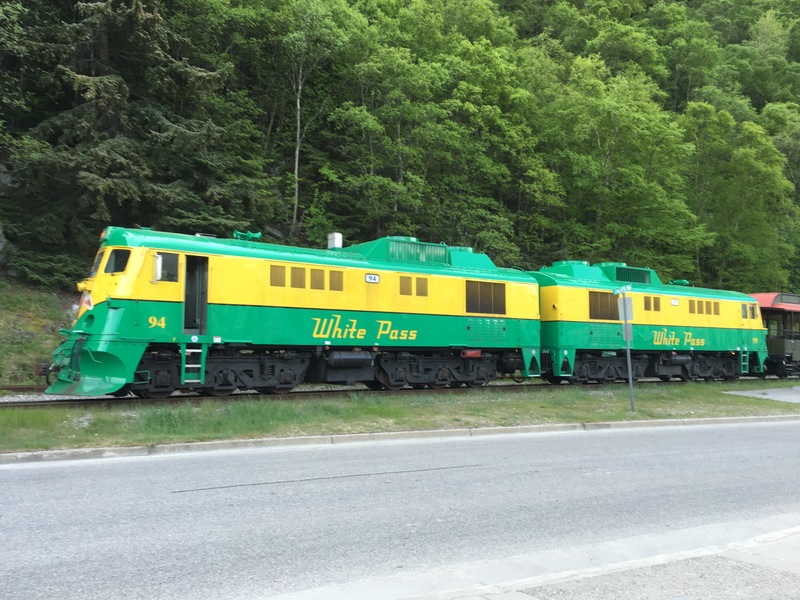 I bought a ticket in the train station for the White Pass & Yukon train. The train follows the White Pass route to travel to the Klondike. Unfortunately the train route was completed in 1900 some two years after the largest fold rush in the world. 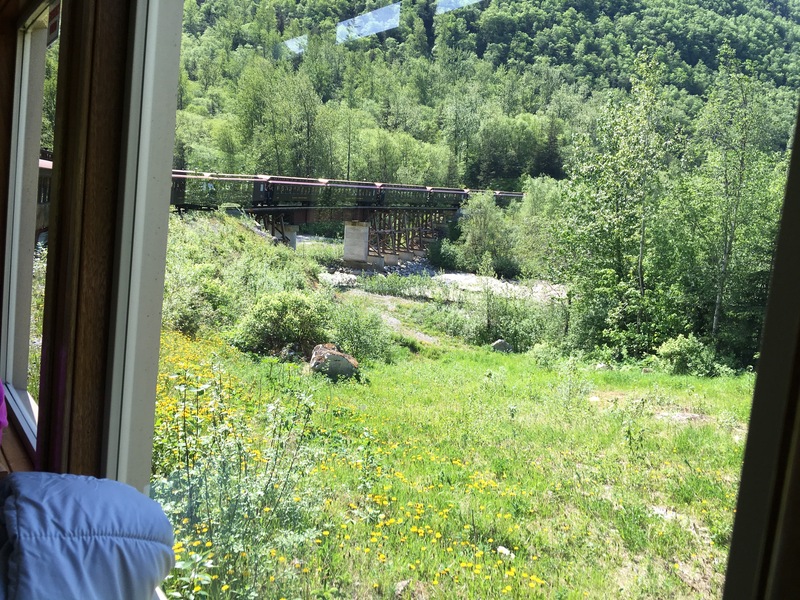 This train ride up to Lake Bennett and back to Skagway took three hours. This is a must do! What a monumental engineering feat this was! How awesome is this tidewater glacier! 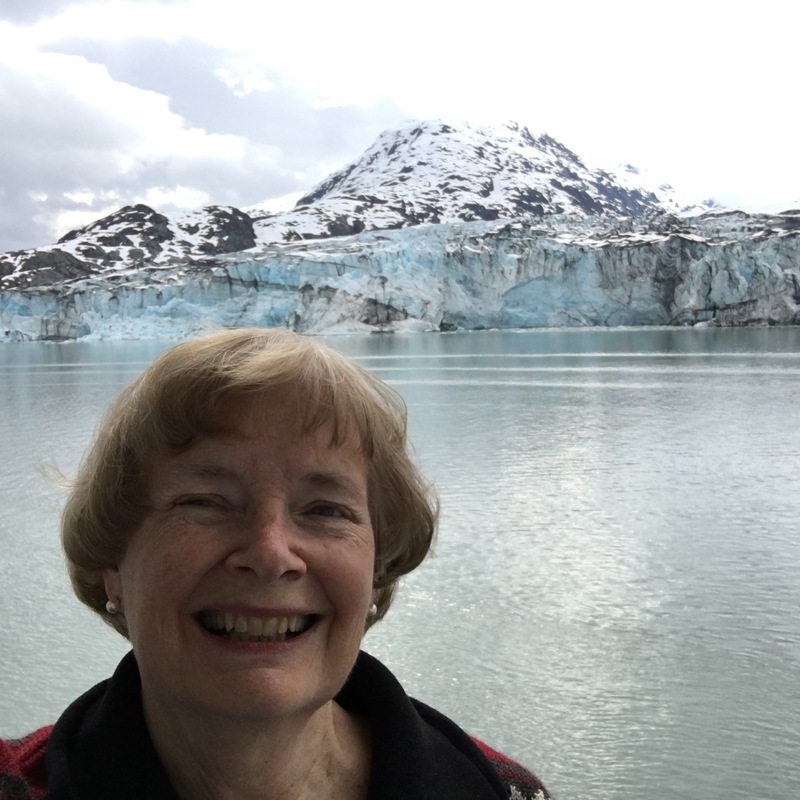 We arrived in Glacier Bay on Monday. A U.S Forest Service guide came on board to journey and further inspire us as we looked in awe at the glaciers! This alone is a reason to take the cruise. 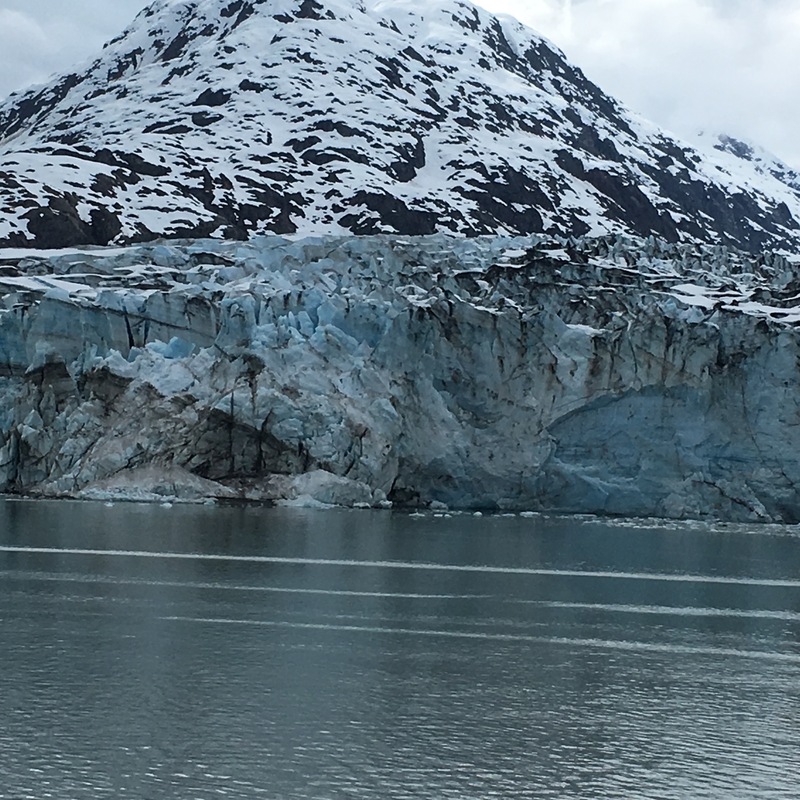 What peaceful, yet powerful beauty there is here in Glacier Bay! 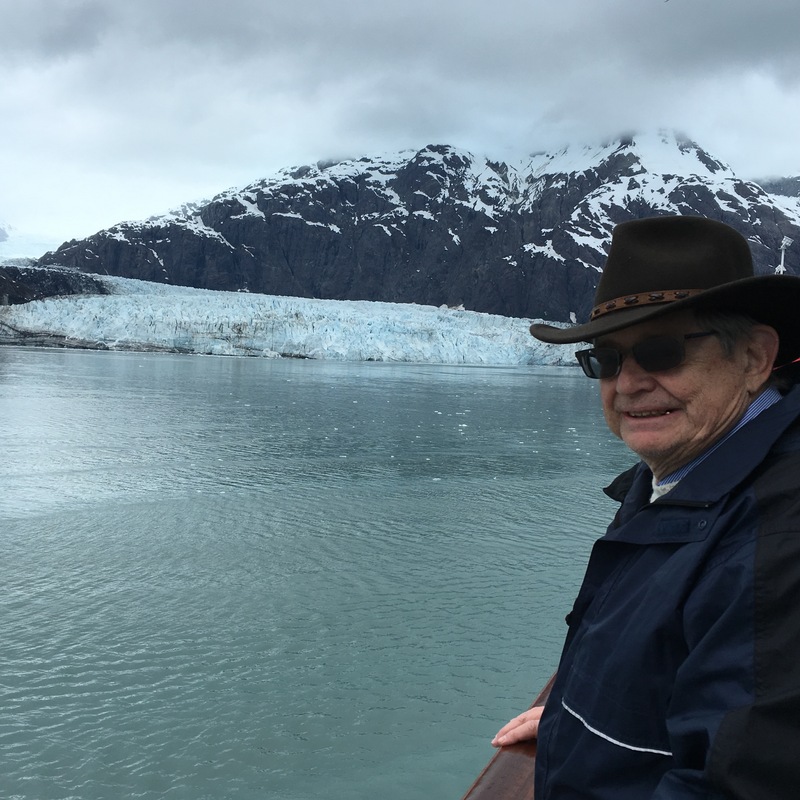 We then spent the night and Tuesday morning cruising on open water from Glacier Bay area to Prince William Sound, College Fjords, and finally Whittier. We boarded our coach and were the first off the boat. At the Anchorage International Airport we went into a large baggage claim room to get our luggage. Being novice cruise ship travelers I had not put something unique on our bags. It took a long time to find our bags. Princess lost one of our bags. It was not in the baggage claim room. Later in the day they found the bag, and I went to claim it. Tip: Tie up each of your bags with something unique. Claiming the bags in their large room is a nightmare when about 1000 peoples’ bags are there. Seeing Alaska from the water was inspiring and full of beautiful sights. We returned refreshed, energized, and ready for our many wonderful summer bed and breakfast guests!